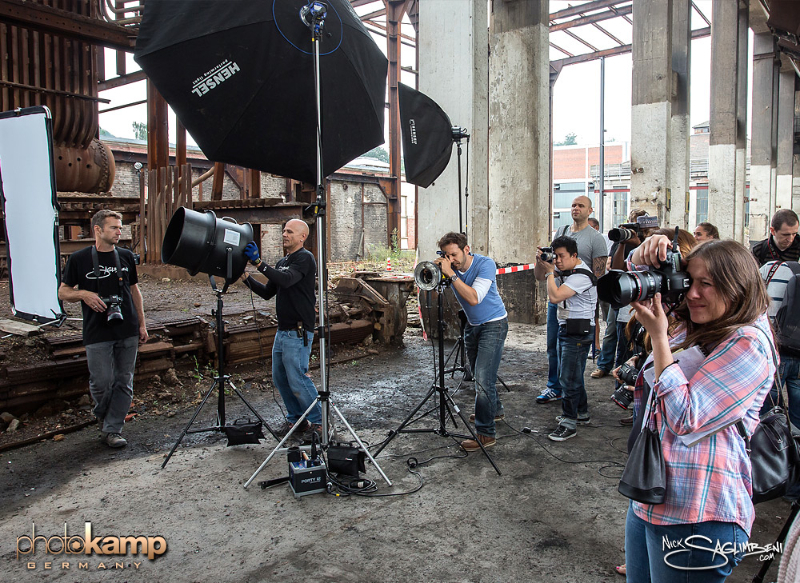 In late August, we packed up our bags and headed to Germany for our fourth PhotoKamp workshop. 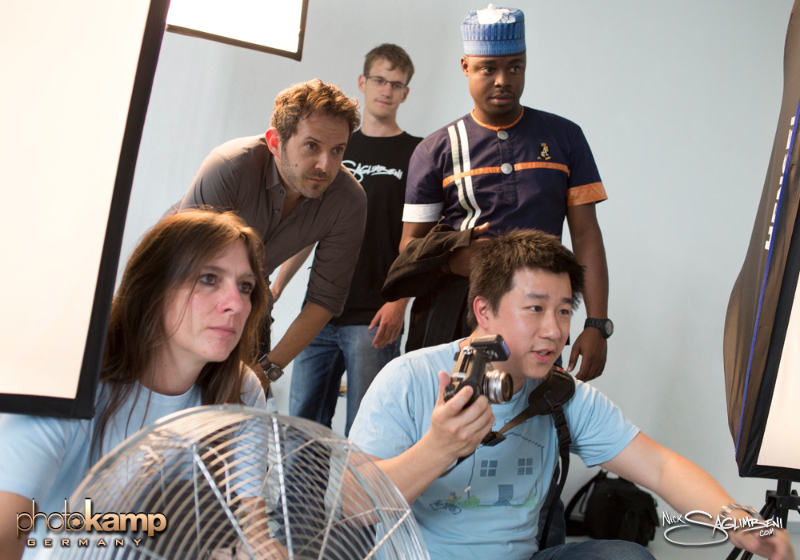 Being our first PhotoKamp outside the US, this weekend workshop drew participants and crew from 9 countries—some traveling from as far as Nigeria. 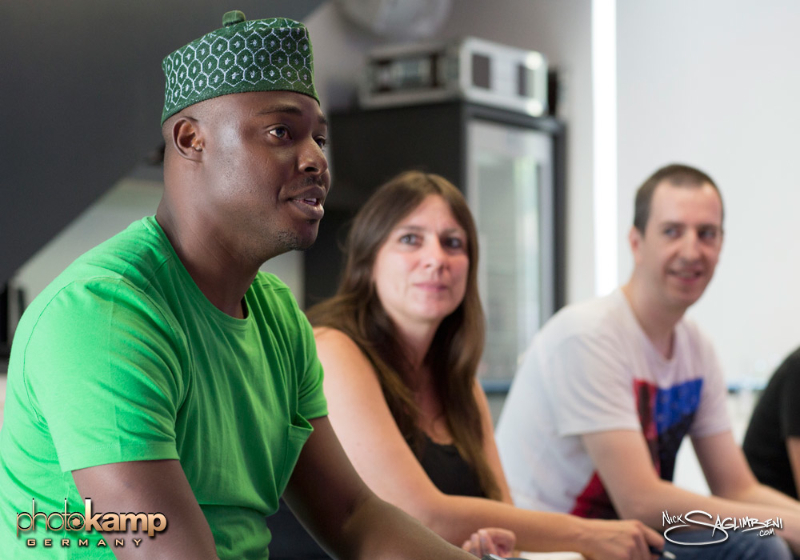 On day one, we met at Luminanz studio in Saarbrücken, near the French/German border for a meet and greet with the photographers, followed by an informal Q&A. As a sign of the changing times in our industry, a majority of the questions this year focused on brand building, marketing one’s art, and making a living as a photographer at a time of unprecedented competition. We then all headed for a real German meal in downtown Saarbrücken. 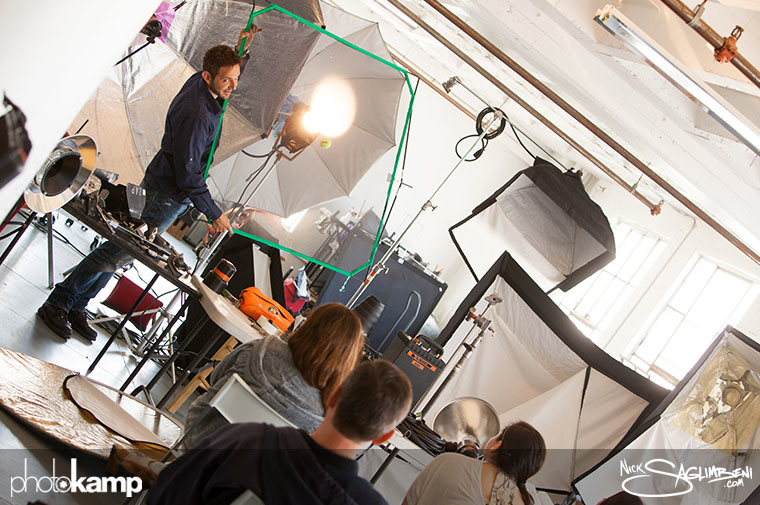 On Saturday morning, we met at Luminanz studio for a full day of studio lighting. I divided the room into two setups. 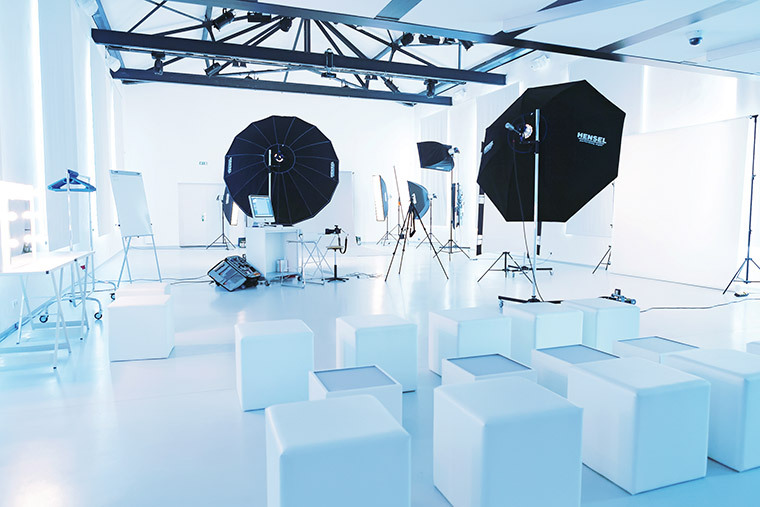 The first was a commercial fashion lighting setup, similar to what I’ve done for Kardashian Kollection and Neiman Marcus. The second, by popular request, was my “pinup glamour” setup, which I all but retired in 2010 when I stepped down from my last long-term magazine contract. 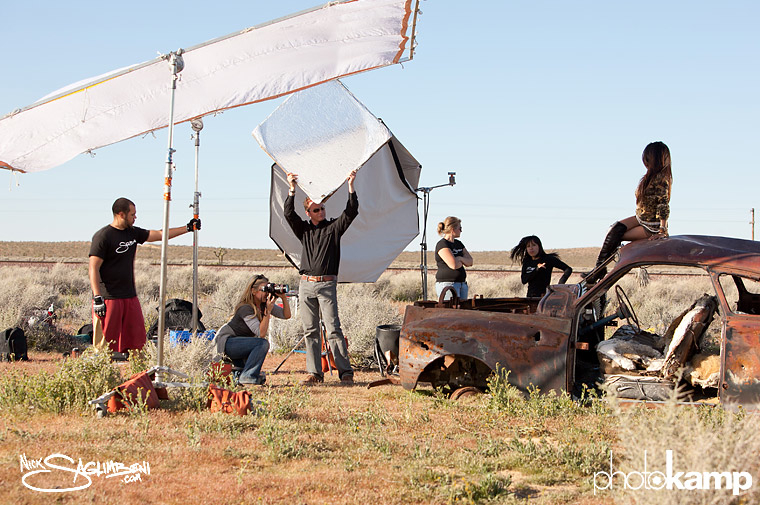 I also covered several “one light” setups that produce striking (and super affordable) results. 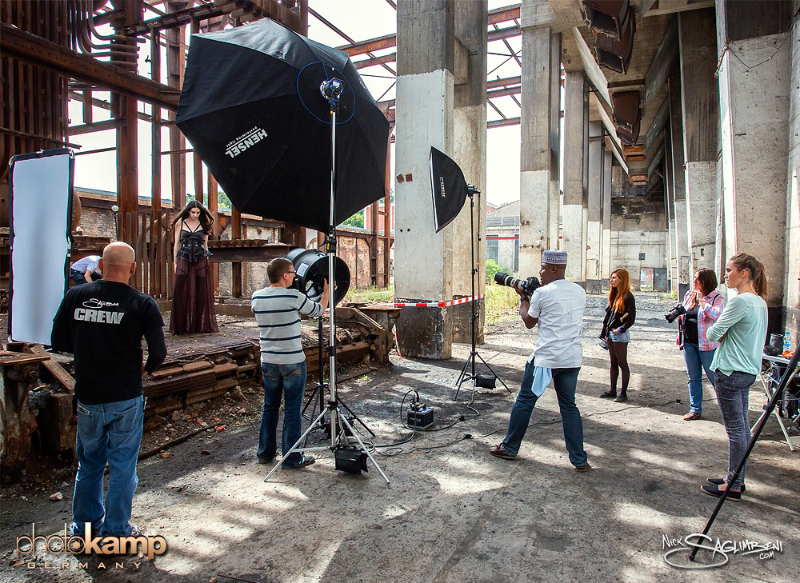 On Sunday, in classic PhotoKamp tradition, we ventured out for a day of location lighting. 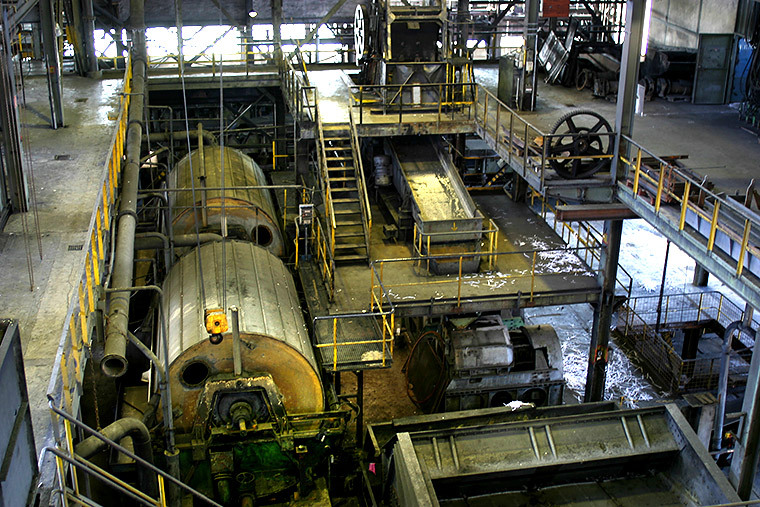 Our German coordinators arranged for us to shoot at a vacant coal mining facility, complete with all kinds of industrial madness. We again split into two setups. 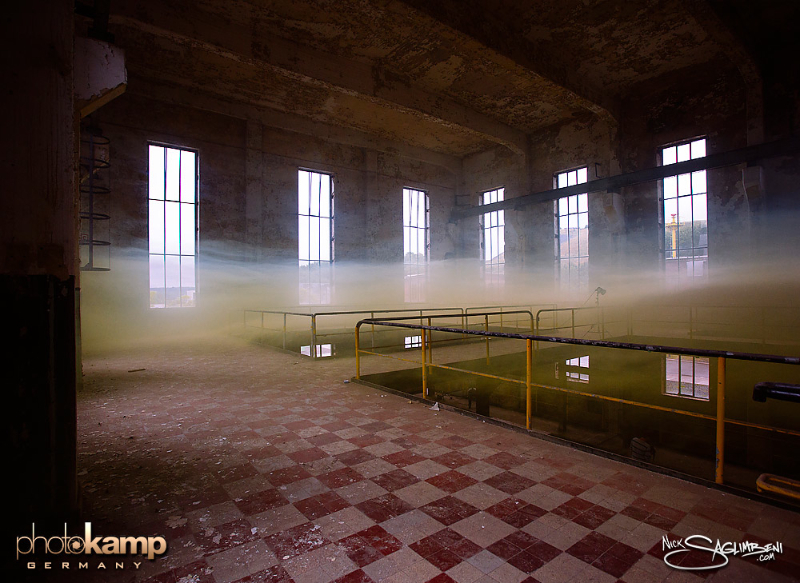 The first involved lighting a massive space with minimal lighting, using a combination of natural light, strobes and fog. The second focused on mixing strobes with outdoor elements, positioning your model relative to the sun, and—an unplanned lesson—shooting in the rain. 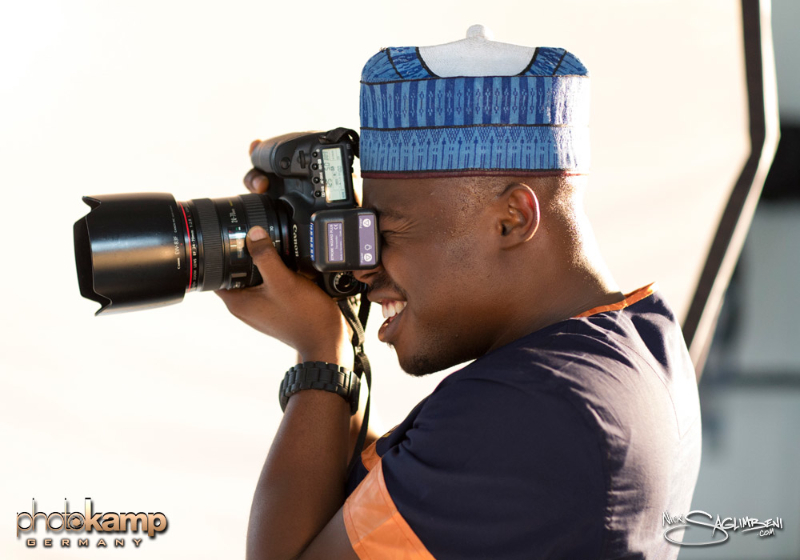 I continue to marvel at the good fortune we’ve had to attract such amazing talents and personalities to our PhotoKamp workshops. Being that even I was out of my Los Angeles-centric comfort zone, it was a wonderful opportunity to eat, talk and bond with both new friends and old. My sincerest thanks to our German coordinators Stefan Rasch, Carsten Simon of Luminanz studio, our four wonderful models and makeup artist Miriam Regitz. Also to my amazing international SlickforceStudio crew Scot Fortino (US), Hayden Phoenix (NZ) and Peter Major (Hungary). 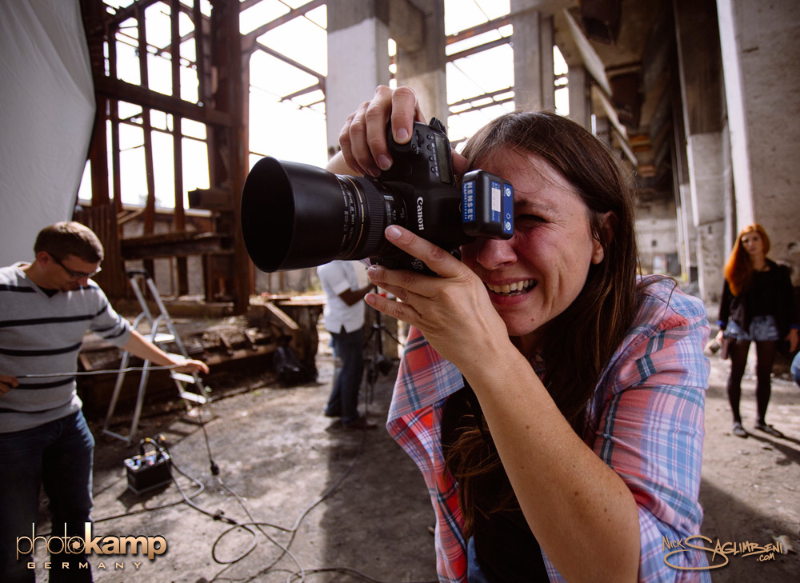 We’ve just created an official PhotoKamp Facebook page to learn more about PhotoKamp and for past students to stay in touch. 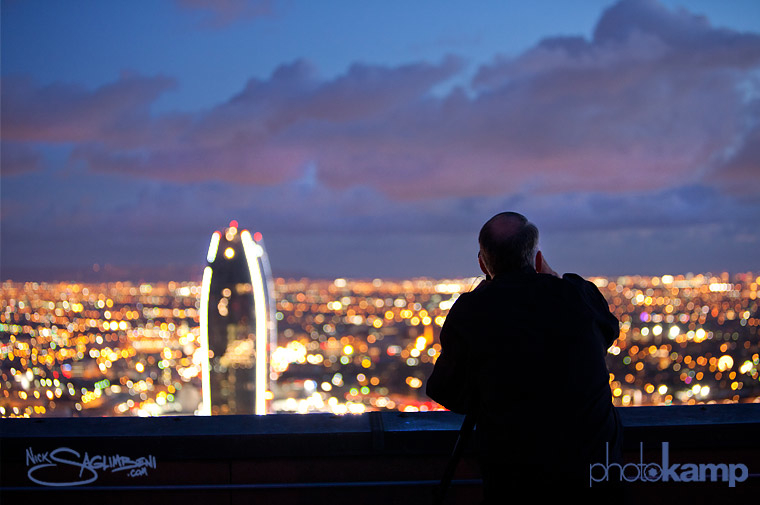 New dates for upcoming workshops will be announced in the next few weeks on our Facebook page and at PhotoKamp.com! 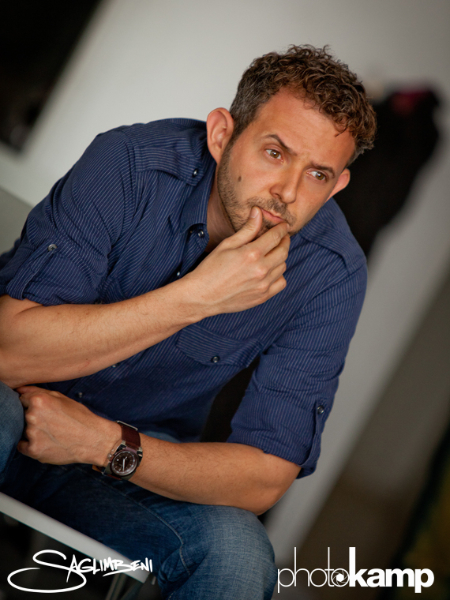 CREDITS: Photos by Hayden Phoenix and Carsten Simon. 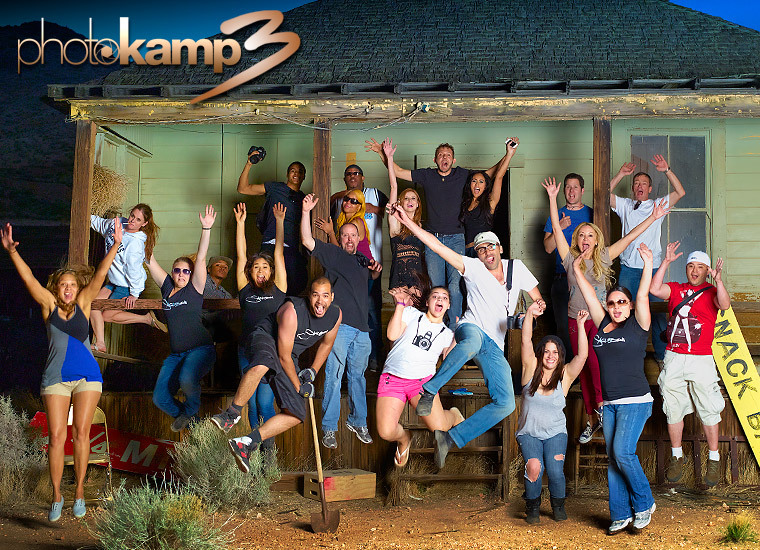 Everyday, more and more up-and-coming photographers write me asking about PhotoKamp. So I figured, why not let past attendees tell you for themselves? 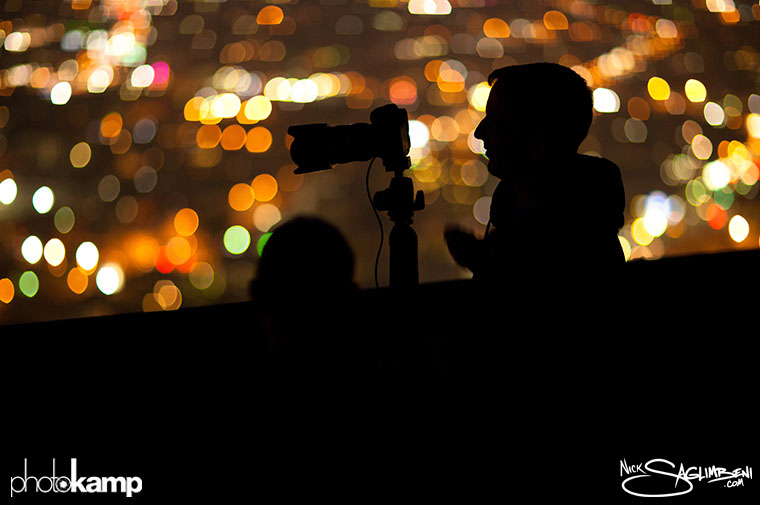 In this video, you’ll get a first-hand look at a PhotoKamp experience, seen from the eyes of our photographers. I am eternally grateful to these talented artists for sharing their experiences with others, and I am so proud of them for the innovative ways they’ve exploring their artistic visions, both at PhotoKamp and since graduation. 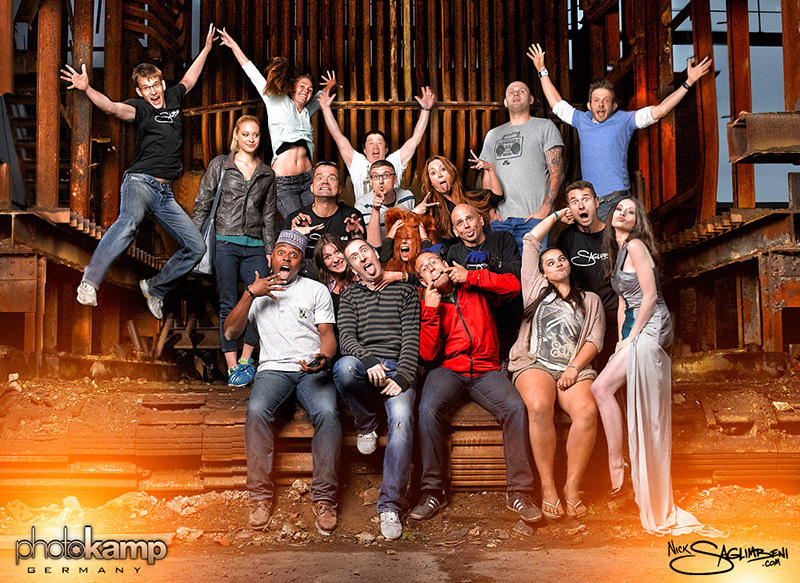 Our next PhotoKamp takes place in Germany on August 23-25. Early signup pricing is in effect until June 1. 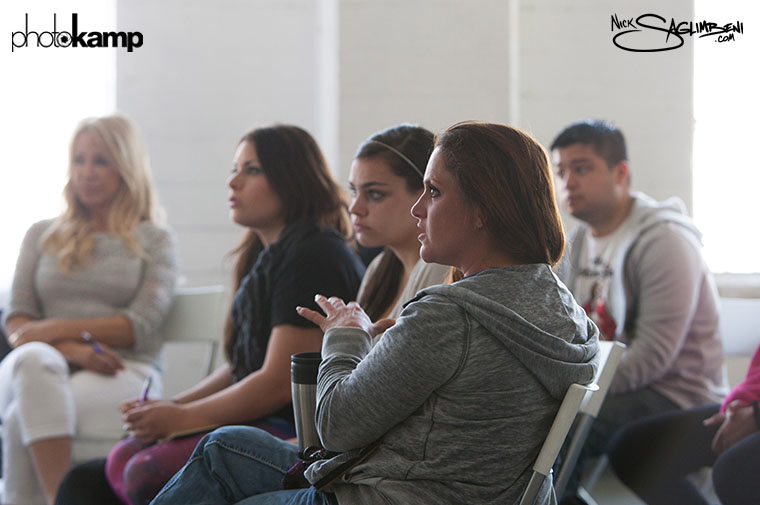 For a look back at past workshops, read the posts here! It’s finally here! 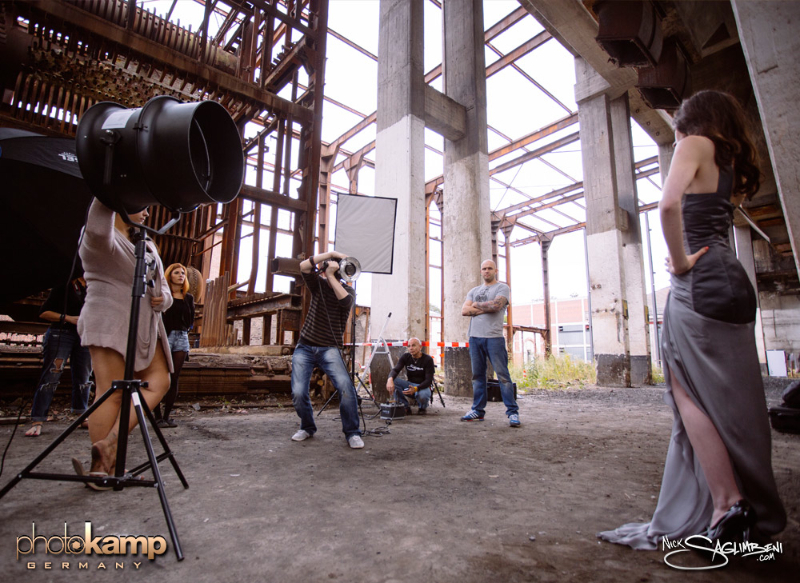 Over the last few years, we’ve received hundreds of requests to offer our one-of-a-kind PhotoKamp workshop outside of the US. In 2013, it becomes a reality. 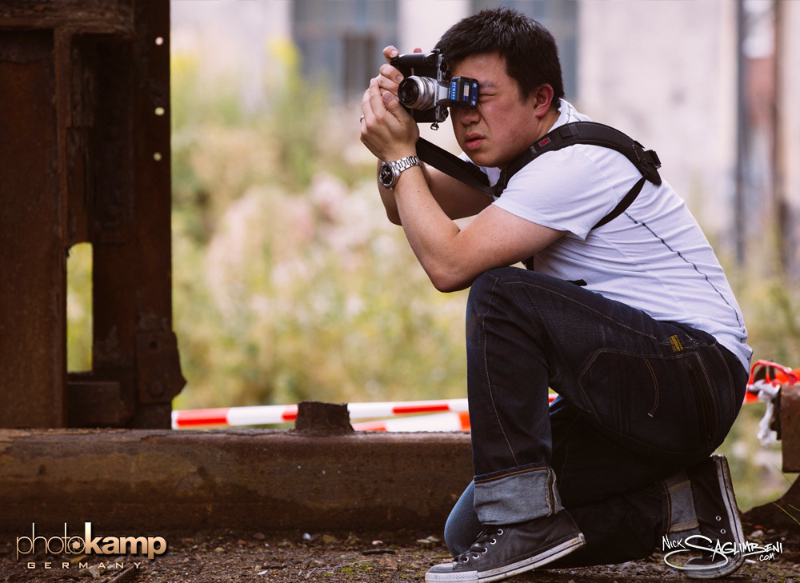 From August 23-25, 2013, I’m holding the first international PhotoKamp in Saarbrücken, Germany, near the French-German border. 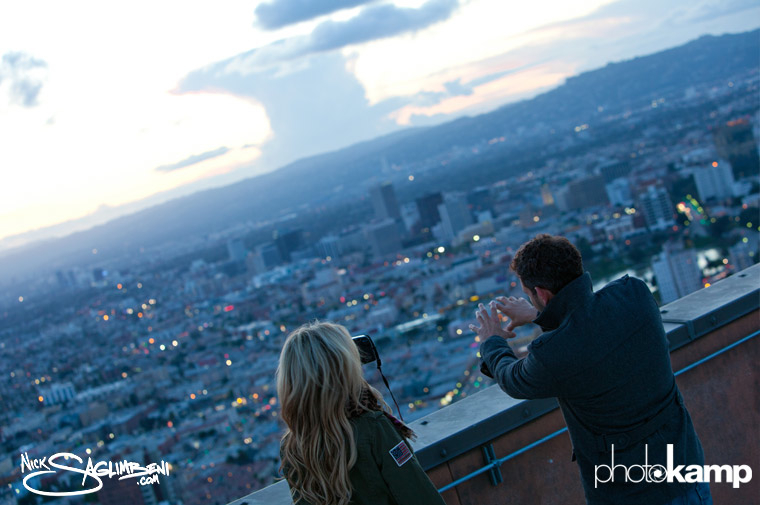 The format will be nearly identical to the already-legendary photography workshops we’ve taught in Los Angeles (see previous posts below), but with a decidedly European twist to the locations, models and more. 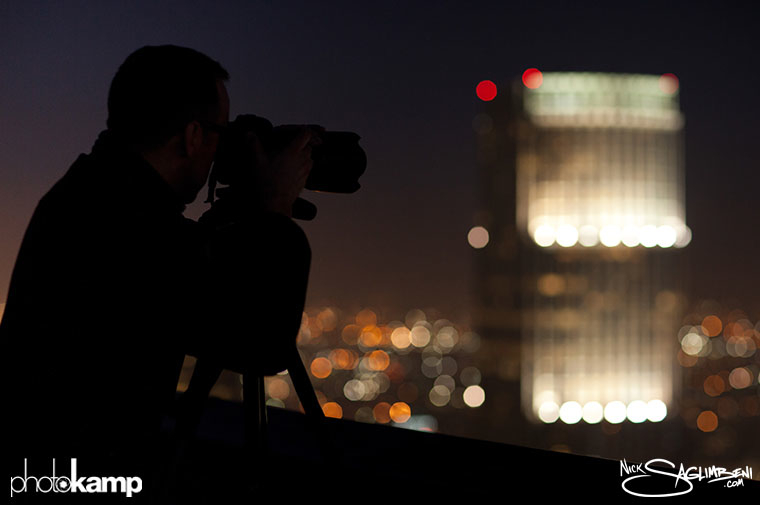 On Day One, we’ll all meet at Luminanz Studio for an informal discussion on the business of photography. Here, we’ll talk about working with high-profile clients, protecting yourself with talent releases, directing models to achieve your desired vision, how to handle retouching and post-production on large volumes of images, and more. We will also cover basic electrical knowledge so that you can maximize your available power and work safely in the field. Dinner will be served. 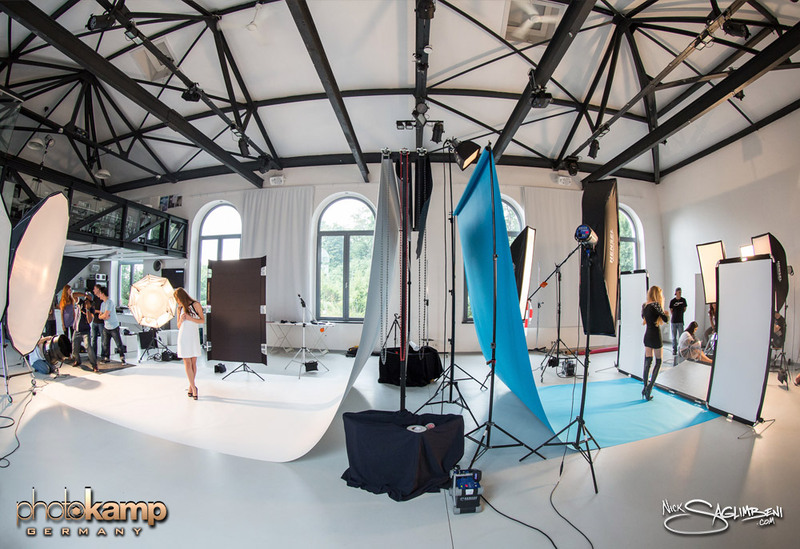 On Day Two, we’ll again meet at Luminanz Studio this time for a full day of Studio Lighting. 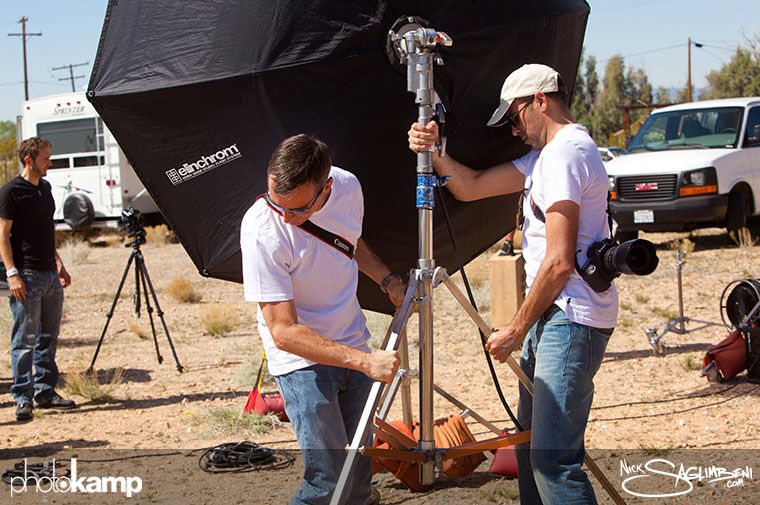 While the models are getting glammed up for the shoot, we’ll discuss must-have grip and electric gear that will leave you armed for even the most complicated lighting setups. Then, we’ll begin a full day of studio lighting. First, I’ll light a setup with the models, and then I’ll turn the reins over to you. 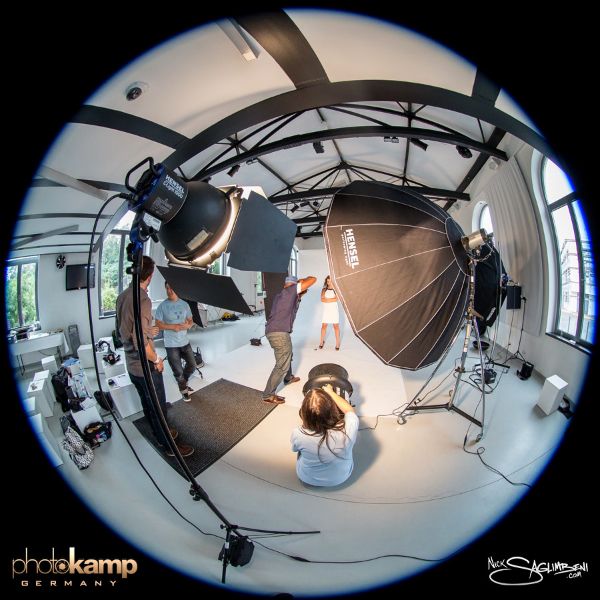 Each photographer will shoot two setups in the studio, and then rotate through various assistant positions to help the other photographers. The day will last approximately 8-10 hours. 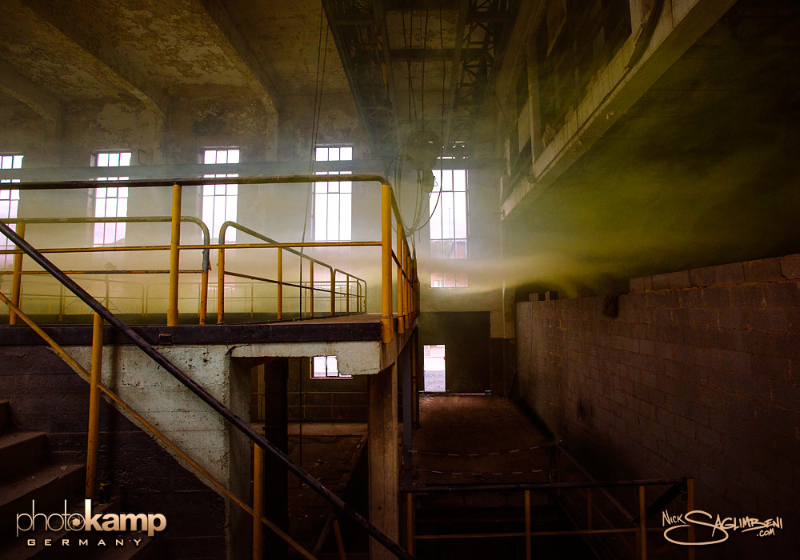 Finally, on Day Three, we’ll visit an awesome abandoned industrial factory location. 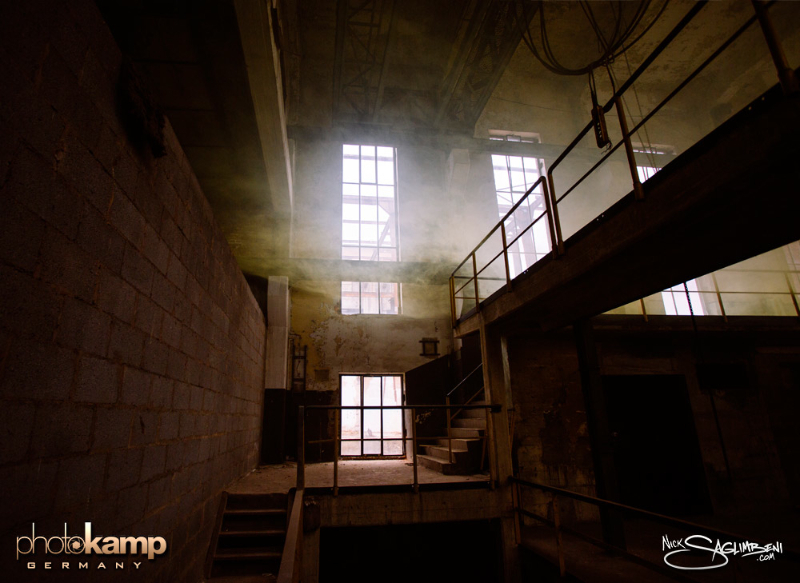 Here, we’ll discuss the challenging and opportunities that come with Location Lighting, such as balancing artificial light with sunlight, working with fog and aerial diffusion, power and electrical concerns, exposing for grungy environments and more. 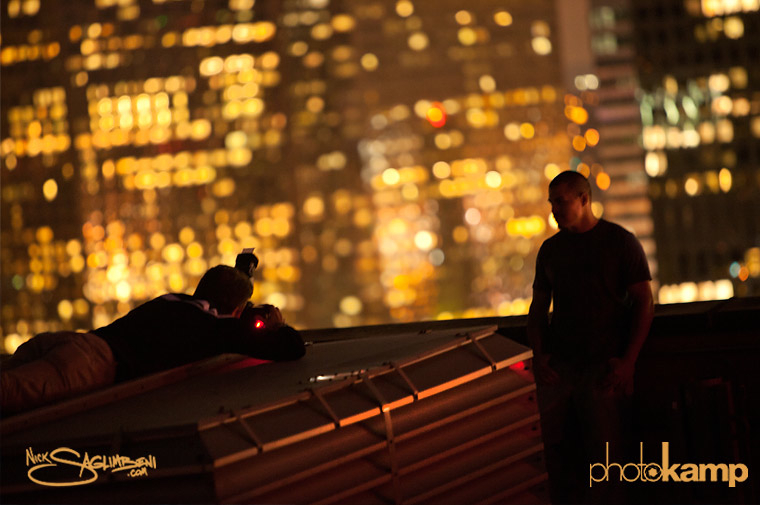 I’ll setup a pro shoot exactly as I would for a commercial client, then it’s your turn. 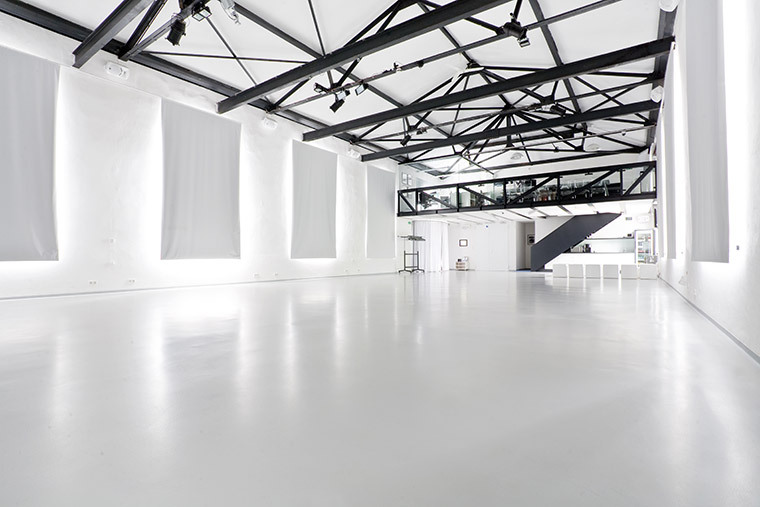 Each photographer will shoot two setups in the warehouse location, and then assist the other photographers in rotation. 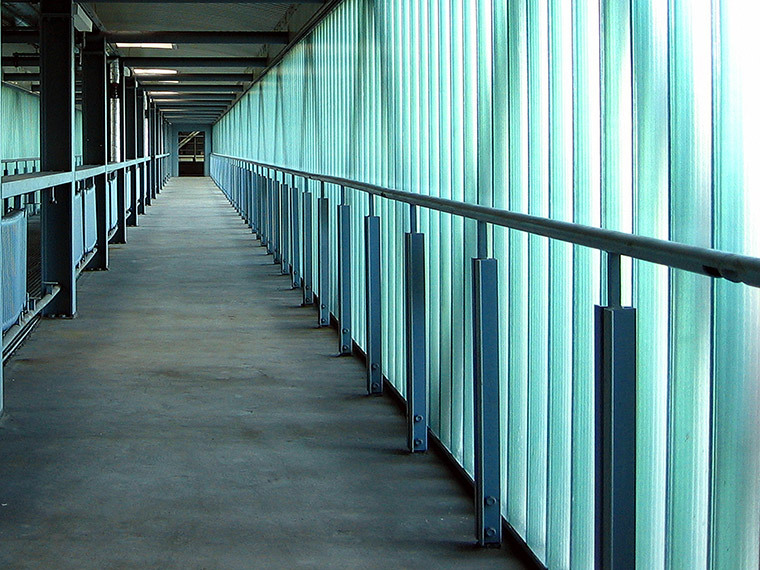 We’ll end the day with a final Q&A sessions, and discuss any remaining questions you may have. 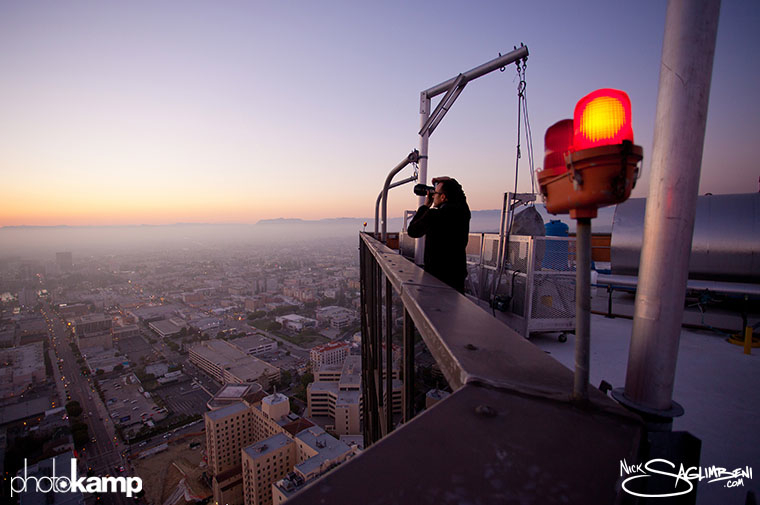 For the third year, we held our annual PhotoKamp workshop in Los Angeles. 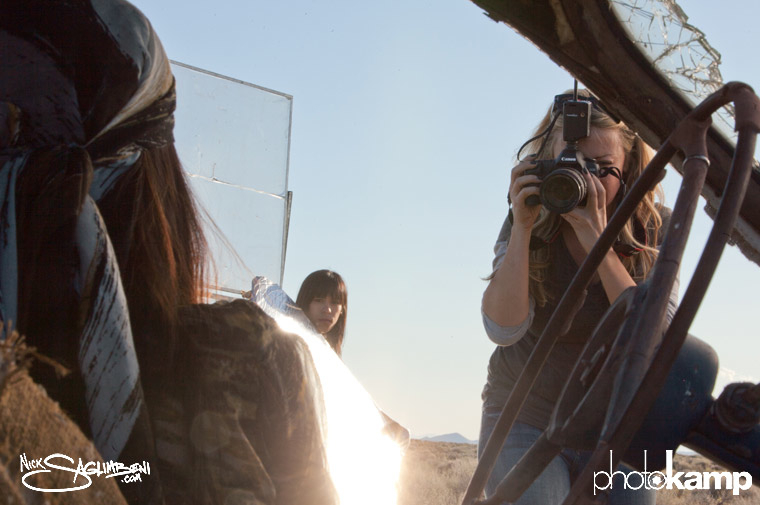 Students flew in from 6 countries—from as far as Morocco and Malaysia—to learn photography and lighting. Our attendees also illustrate the changing face of the modern photographer: we not only had an eye-opening 60% female turnout but also our youngest student ever. 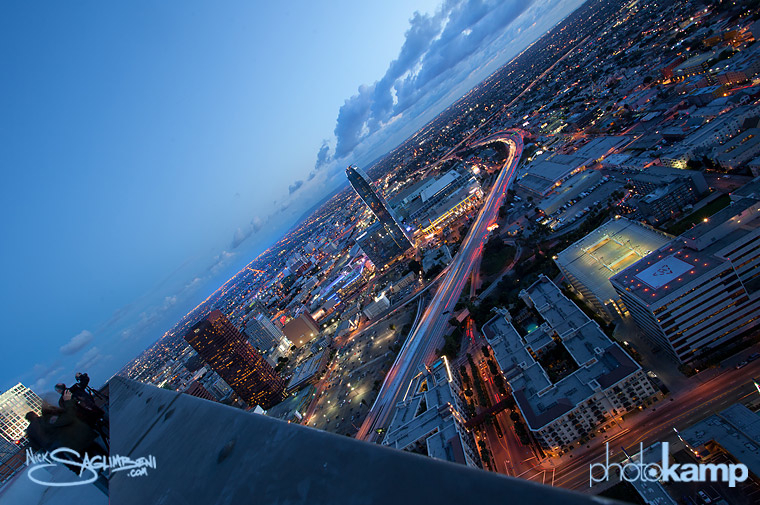 It is exciting for me to watch how this new energy will change the photography industry over the next generation. On the first day of our 3-day event, we enjoyed Texas barbecue (with veggie options), courtesy of longtime SlickforceStudio friend Craig McNelley, owner of grip & lighting company Berkeley Avenue Productions. 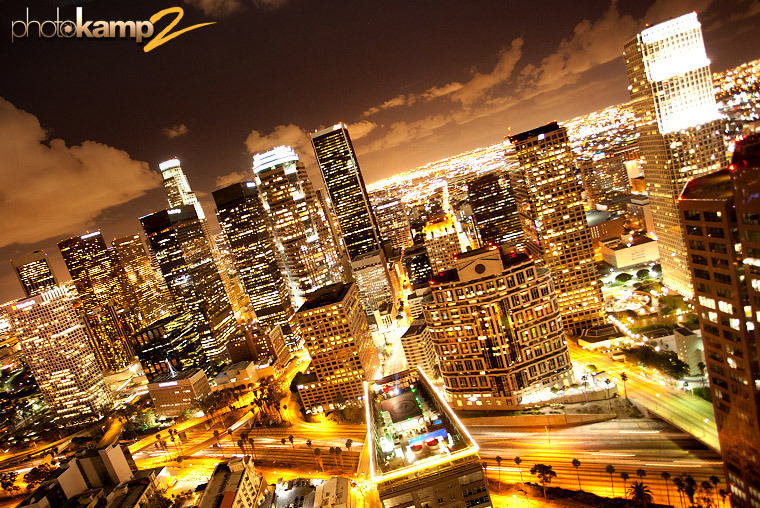 (If you’re in LA and need affordable motion picture grip & lighting gear, there is no one better.) 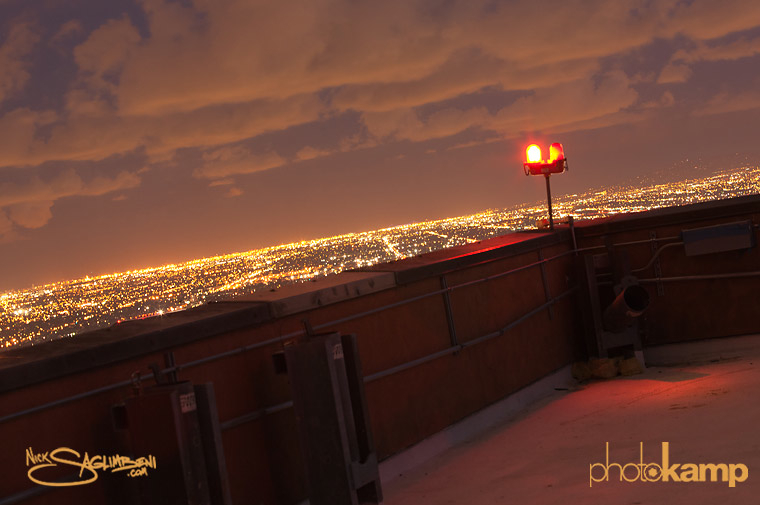 After dinner, I took the class up to a skyscraper helipad, high above the LA cityscape, for an evening of long-exposure night photography. On day two, we met at SlickforceStudio, where I spent the morning teaching the class about lighting modifiers, power packs, and grip equipment. Then I demoed several lighting setups for the students—from fashion to glamour to portrait—before turning them loose on their own. Models Lela Hazary and Vilayna LaSalle gave excellent performances for their photographers—who each built sets and experimented with many types of creative lighting setups from the inexpensive to the ambitious. 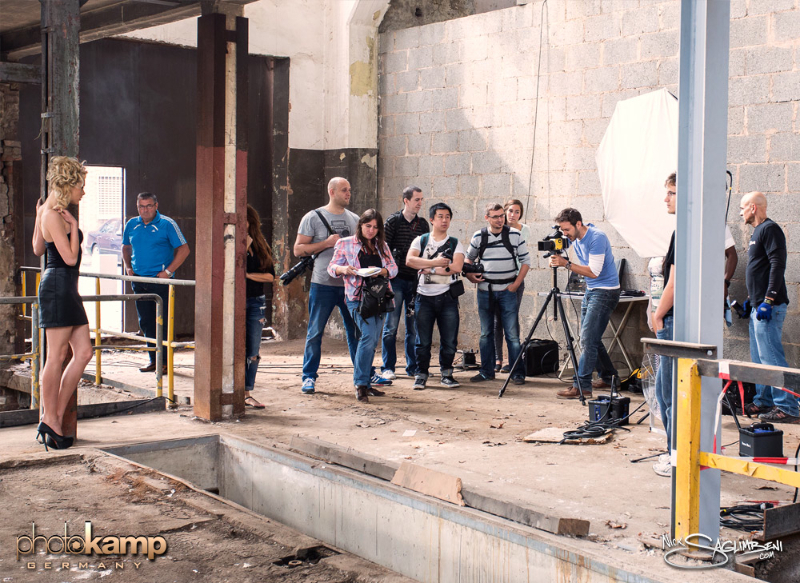 On day three, I took the team out to an amazing location in Lancaster for a day of complex pro location lighting. My Slickforce team taught the class how to build large-scale rigs, safety the equipment for the models, and work with generator power. Then I lit two lighting setups—one indoor and one outdoor—before letting them take the reins with stunning models Remi Nelson and Regina Prasad. 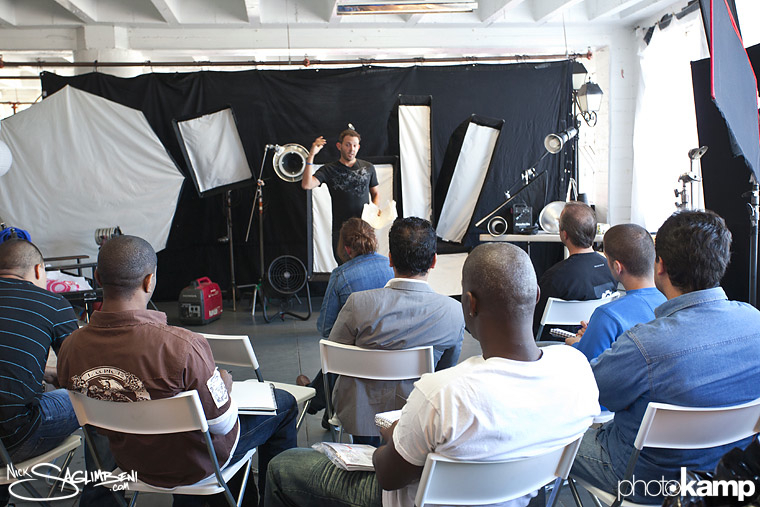 As with previous workshops, we separated the class based on experience level, and then rotated them between positions of photographer and various assistant roles. Many of the students expressed to me that they learned more assisting the other photographers than when they were actually shooting. 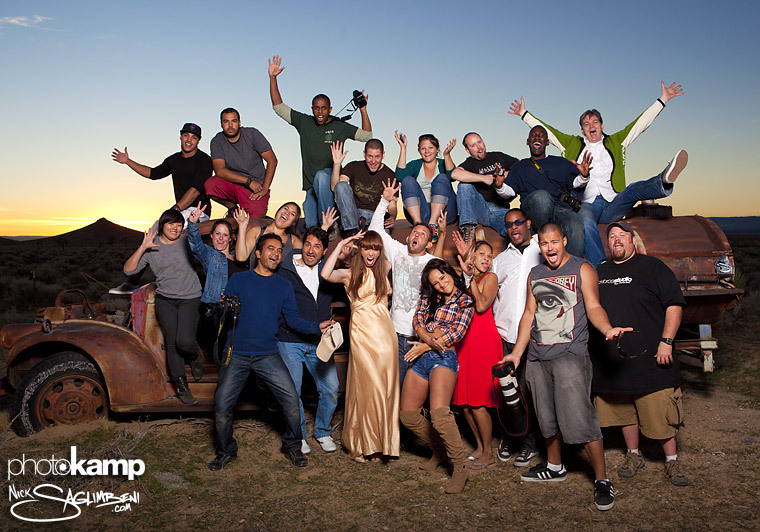 I’m proud to call so many of these talented photographers my new friends. 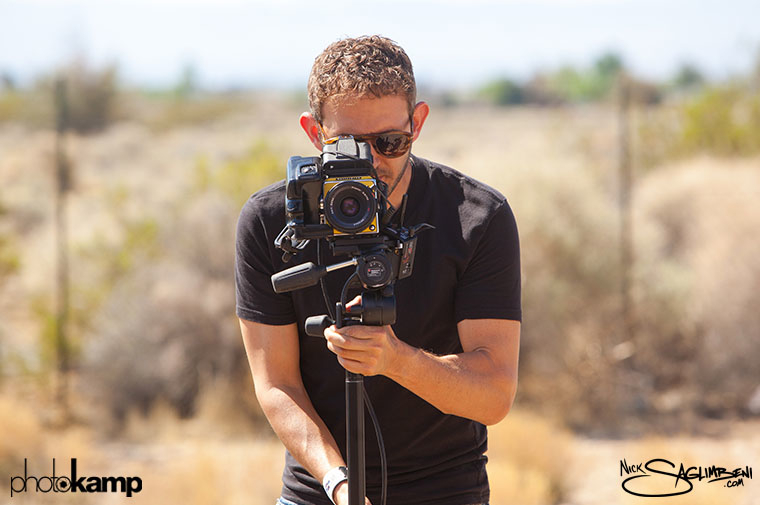 I first met photographer Karim Tibari while traveling around Morocco for WMB 3D, and it was wonderful to see him again. I was also very happy to see so many repeat attendees this year, including photographers Kyla Schultz, Raffael Dickreuter, and Tracey Lea. 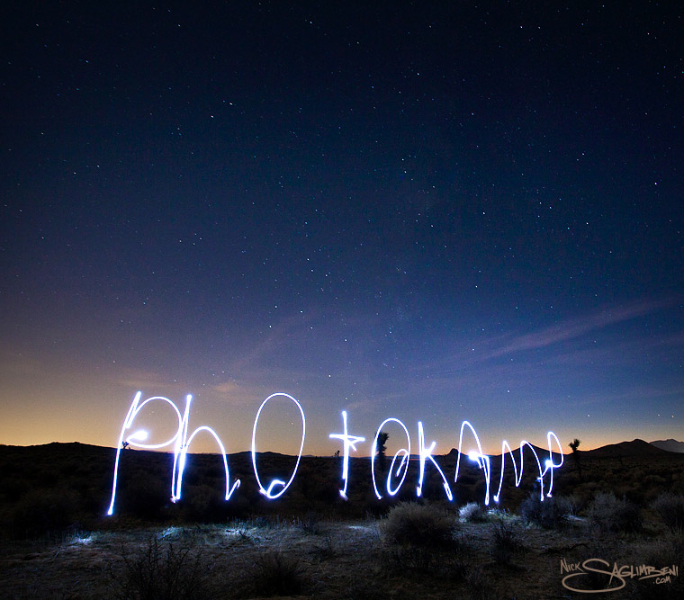 My sincerest thanks go out to everyone who participated in this year’s PhotoKamp—I learn as much from the students as they learn from me, and let me tell you, the talent pool is growing quickly. 15-year-old photographer Julia even taught me to use Instagram! I could not pull off this workshop without my amazing SlickforceStudio crew, hair stylist Tony Jones, make-up artist Angela January-Taylor, and PhotoKamp coordinator Kevin Savarese. 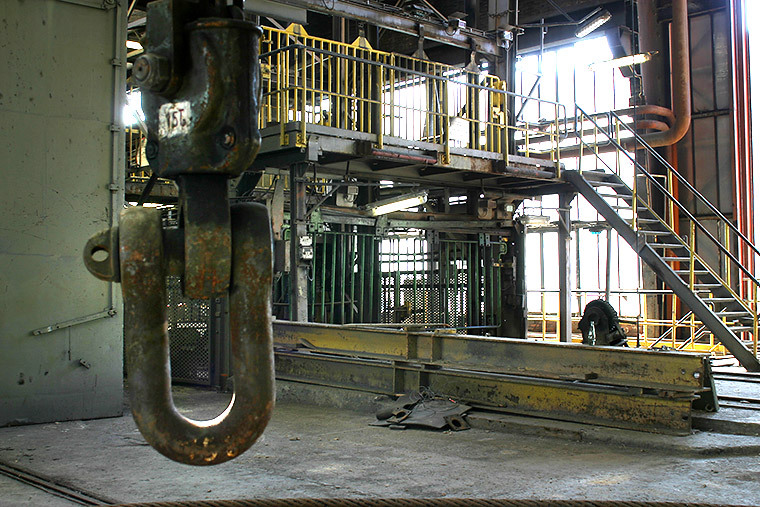 Take a look at these cool behind-the-scenes taken by our team over the weekend! 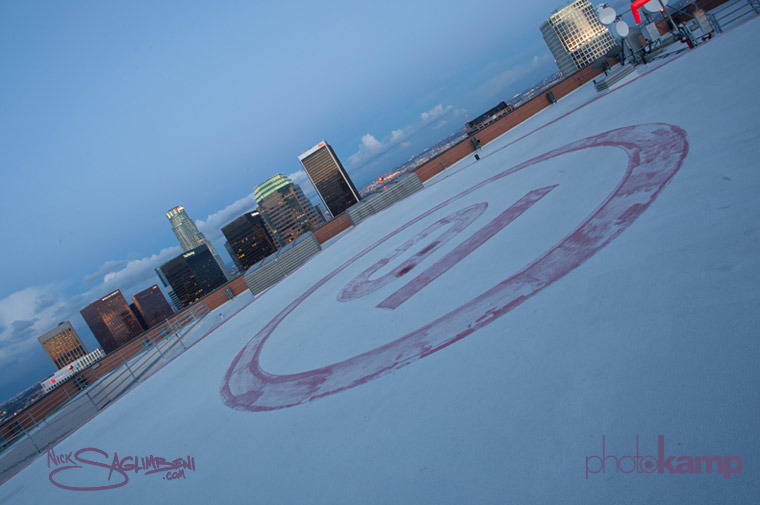 CREDITS: Photography by Jessica Whitehead, David Rivera, Daniel Magana and Nick Saglimbeni for SlickforceStudio. 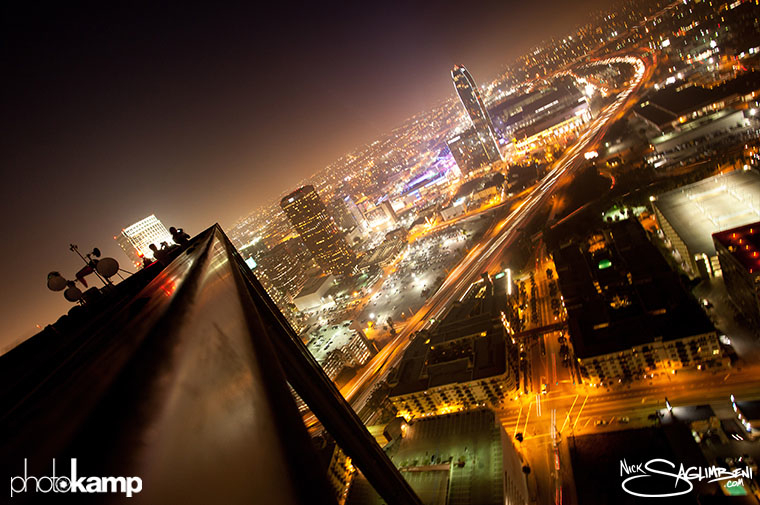 ©2012 Slickforce Inc.
Last month we held our second PhotoKamp in Los Angeles. Students flew in from all over the US—including 2 graduates from PhotoKamp I—and from as far as the UK this year, which was both awesome and flattering. 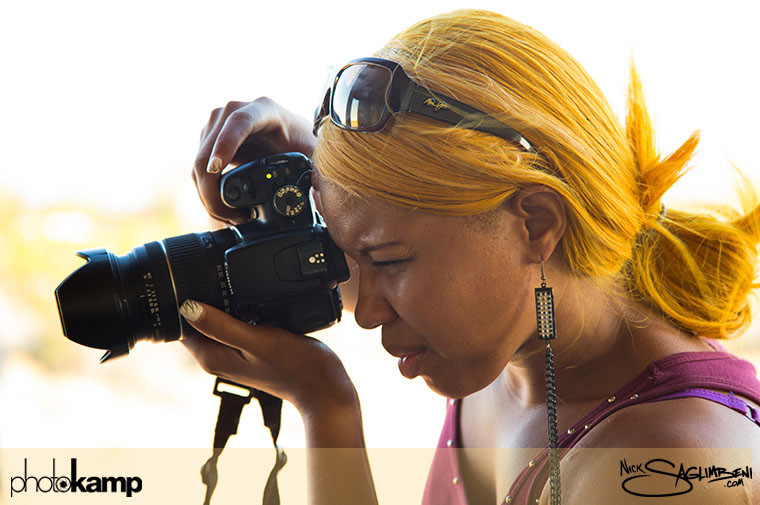 The three-day photography workshop is designed to teach up-and-coming photographers how to handle professional photography and lighting equipment, direct models to desired results, and light subjects in difficult situations. 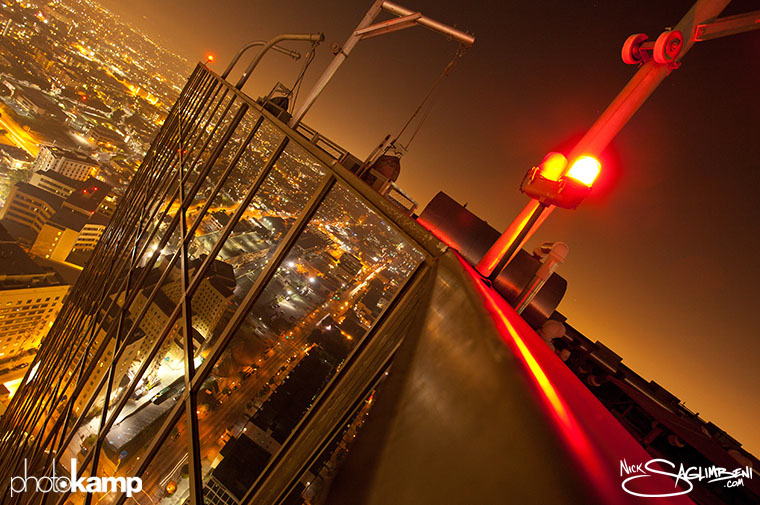 On Friday evening, I took the photographers atop a downtown skyscraper, where they captured the LA skyline from sunset to night, and the results were incredible—especially in an era where even consumer-level cameras feature respectable sensor sizes, robust ISO latitude, and long-exposure capabilities. After the rooftop shoot, we headed indoors to a warmer meeting area where my amazing team arranged dinner during an informal Q&A session between me and the students. 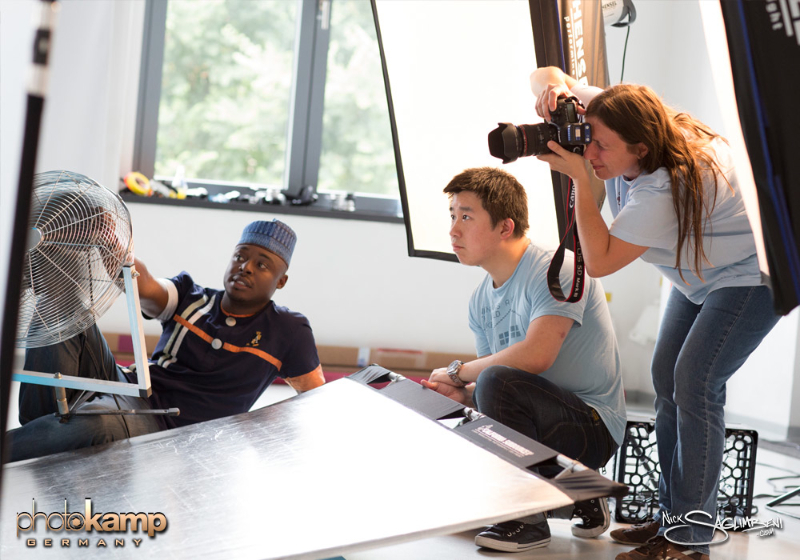 On Saturday, we met at SlickforceStudio for an in-depth lesson in professional grip and lighting equipment. 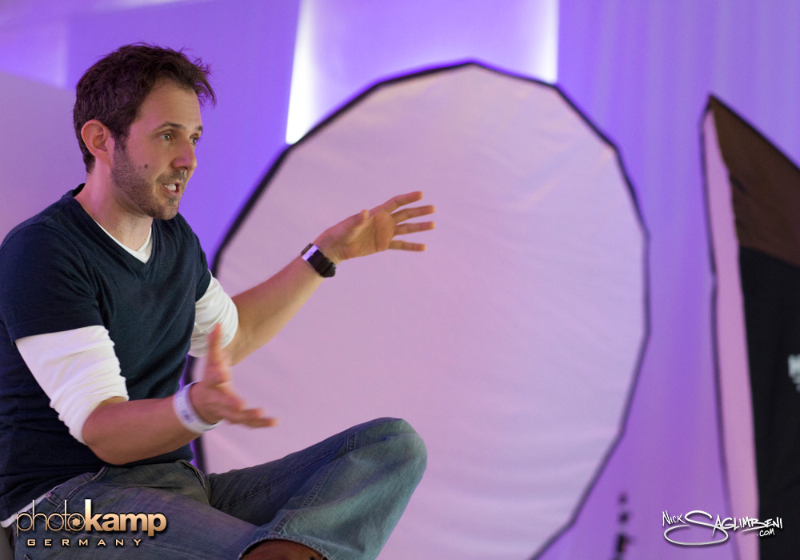 We also discussed budget-friendly options, which allow for amazing lighting setups at under $100. 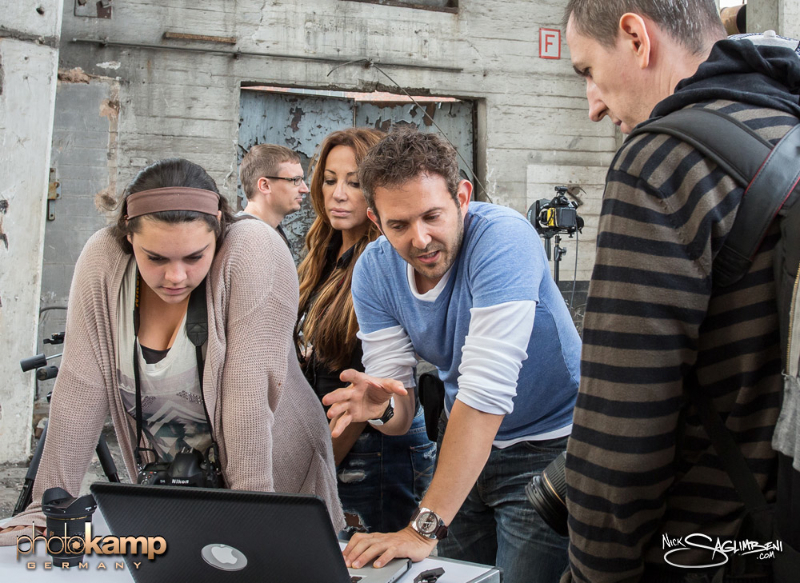 It’s always fun to see the wheels turning in the students heads as they learn about new equipment and contemplate exciting lighting setups based on their newfound knowledge. Each student then rotated between the positions of photographer, camera assistant/tech, lighting assistant, and fan operator (always the most fun.) Two models posed for the photographers, allowing for each student to have two full hours per day as photographer, in charge of the entire set. They chose the models’ wardrobe, directed their team and the hair & make-up crew, experimented with lighting, and built sets. 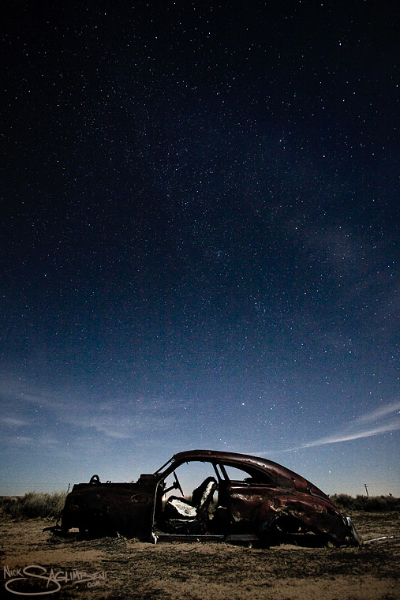 On Sunday, we awoke early and carpooled to Ultimate Graveyard in the Mojave desert. Two new models joined us, and while they were in hair and make-up, I showed the photographers solutions for dealing with harsh sunlight and extreme contrast, as well as safetying equipment in high-wind environments and using generators on location. Everyone always has so much fun out in the desert, and there is nothing better than seeing new photographers get excited about cool locations, as I have since the first day I picked up a camera. 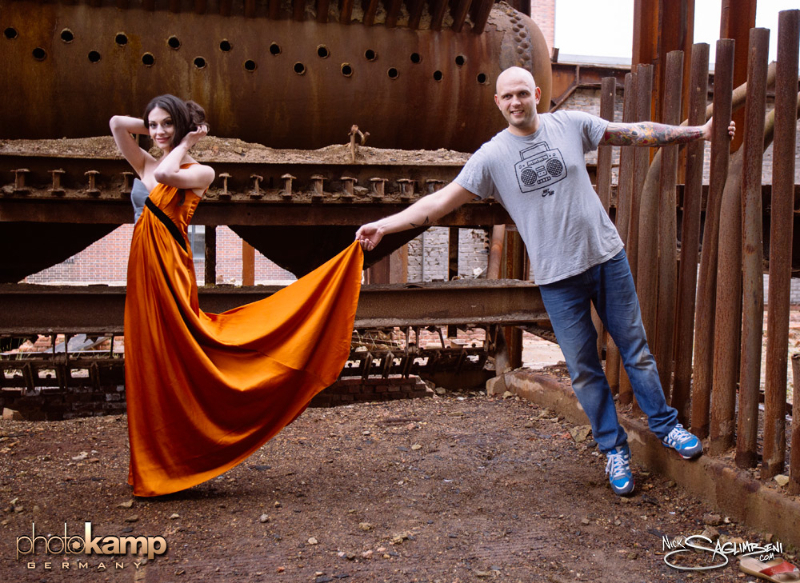 For more info and upcoming dates, visit the PhotoKamp site! Special thanks to Kevin Savarese for coordinating the weekend, the SlickforceStudio staff and amazing interns for their support, and to Joyce Park & Derek Eskridge for these fantastic images! 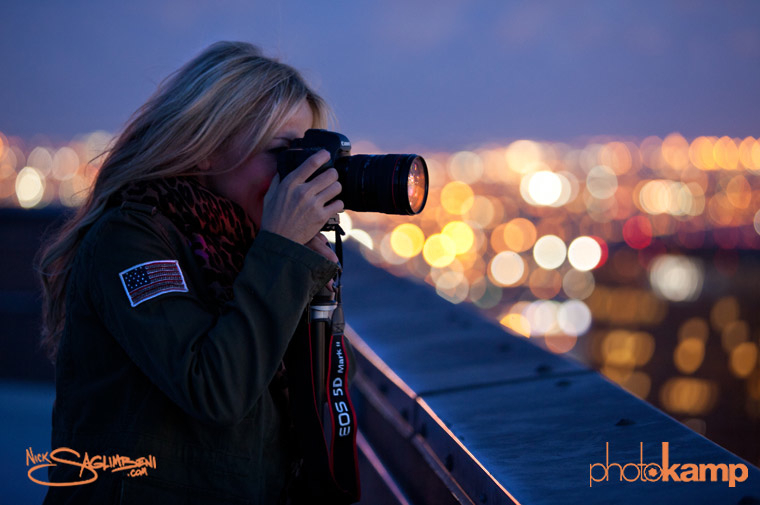 PhotoKamp teaches aspiring artists to shoot & light like the pros! 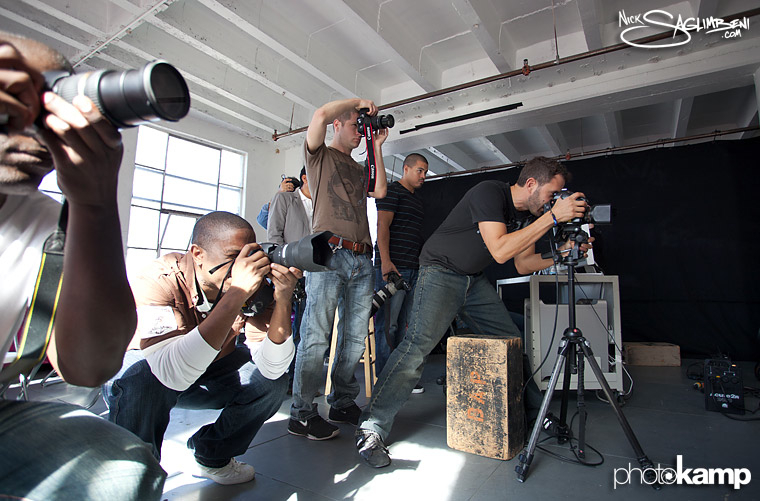 In November 2010, with the help of my elite SlickforceStudio team, I held my first photography and lighting workshop. For years, photographers have been asking my advice on which lights to buy, what lenses I prefer, and how to direct models. 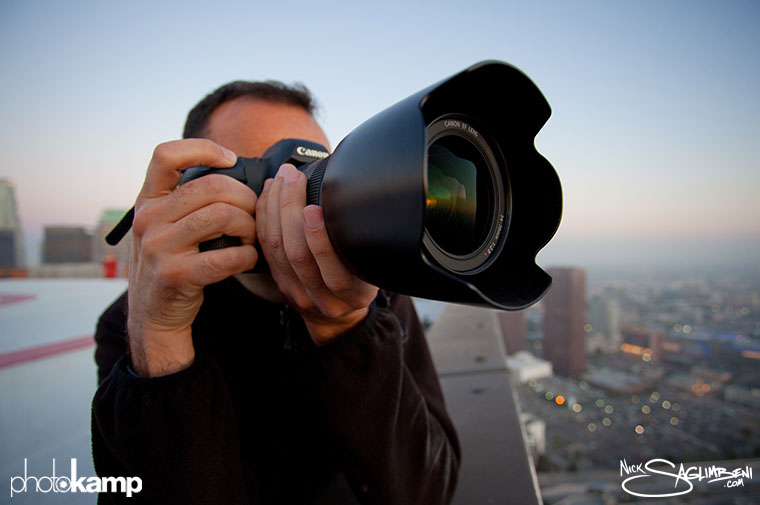 So I compiled the e-mails and years worth of feedback from our Slickforce forum into a wishlist of features that would form what I believed to be the mother-of-all-photography workshops, and Nick Saglimbeni’s PhotoKamp was born. 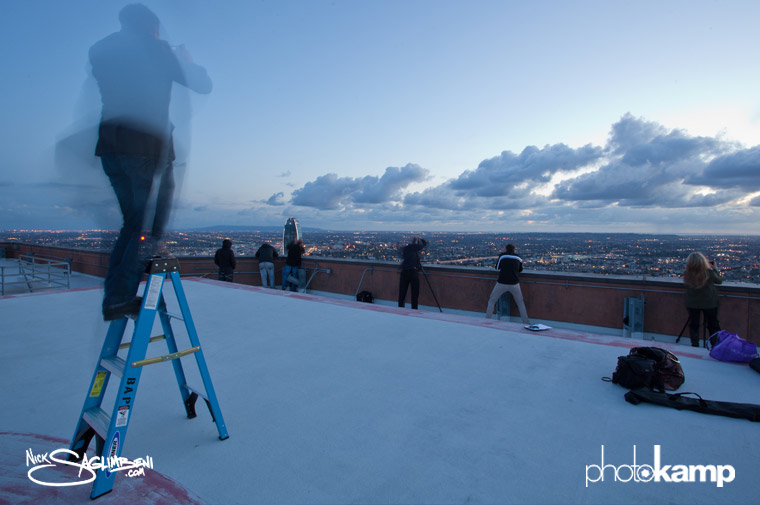 On Friday evening, I met the attendees high atop what we affectionately refer to as “Slickforce Tower”. We enjoyed a barbecue dinner with the studio team while everyone introduced themselves, and then we went into an open-forum Q&A on the business of photography. 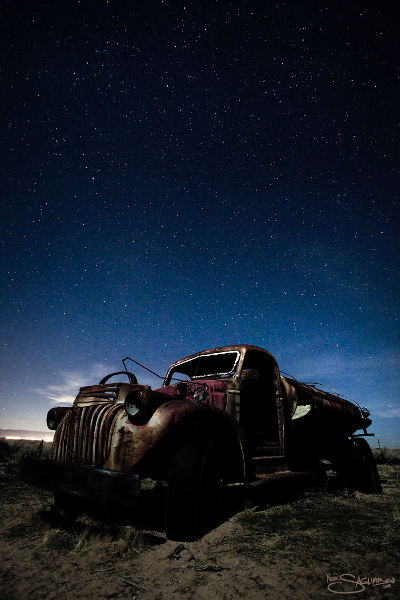 I relayed several stories from my own experience, as well as those of fellow photographers. The energy of our class was amazing, and it was clear from the first night that it was going to be an exciting weekend. Saturday morning, we met at SlickforceStudio to learn studio lighting. Here, I covered the many different types of lighting and modifier options, and then everyone watched me demonstrate live on one of our lovely models. Finally, we split the class into two groups, where the students rotated between positions of photographer, camera assistant, lighting tech, and even the fabled fan operator (which incidentally was nearly everyone’s favorite job.) They shot both fashion and glamour looks, and each student got a minimum of one-hour of complete creative control as the photographer. 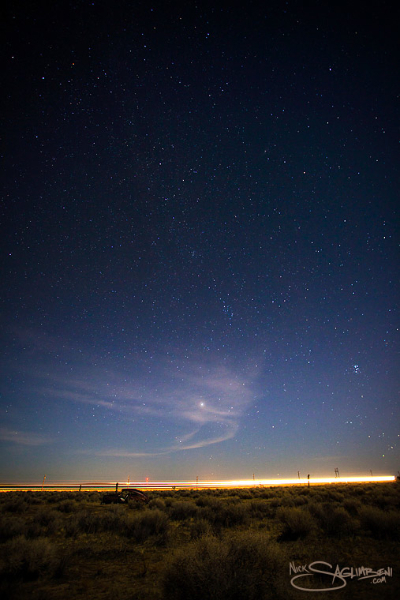 Finally, we met early Sunday morning and carpooled out to Ultimate Graveyard in the Mojave desert, where the team was introduced to our new models for the day. 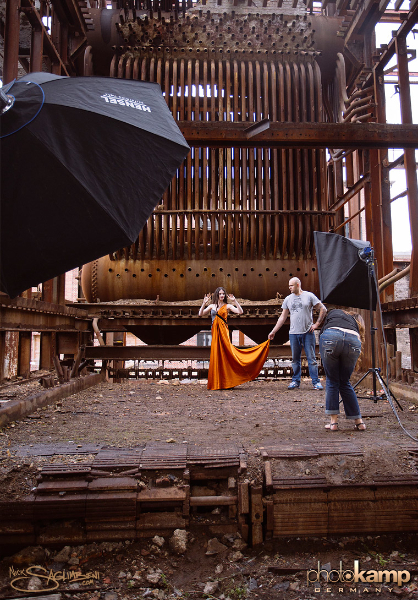 Here, we covered both simple and complex location lighting, ranging from working with natural light to large-scale magazine-style lighting setups using strobes and reflectors. 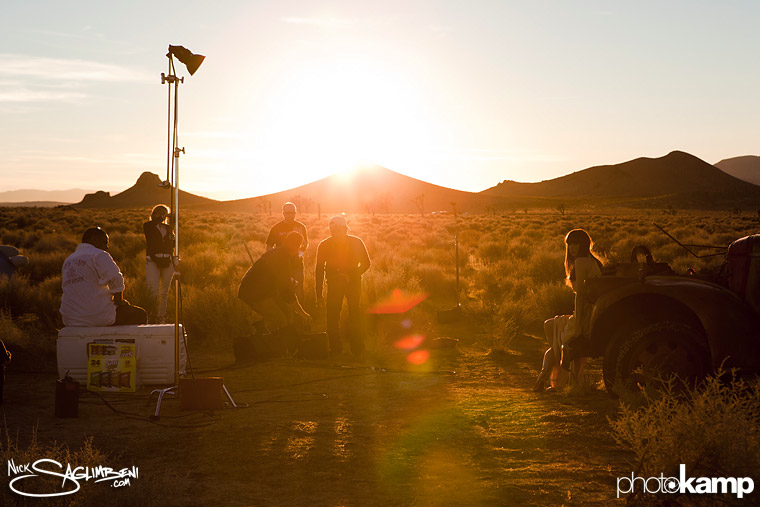 It was so much fun to watch the photographers’ excitement shooting in the desert—it reminded me of why I love shooting there so much. 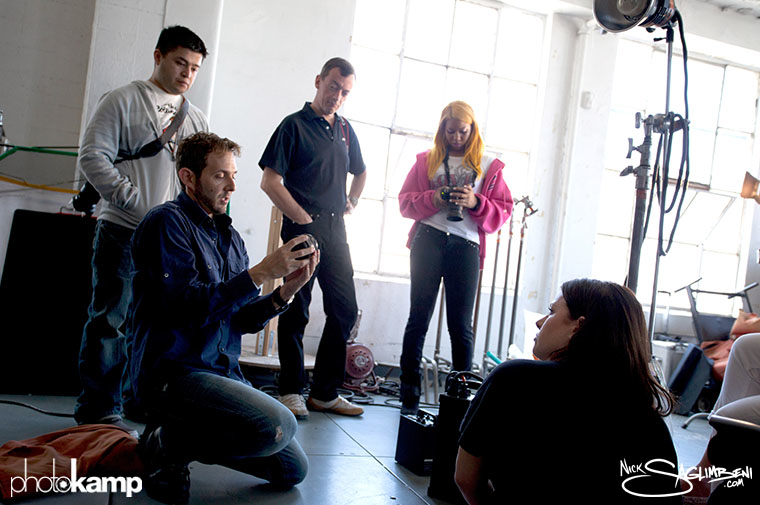 Once again, the students took turns creating their own lighting setups, directing the models, and assisting each other. I looked over their shoulders while they remembered why they LOVE to create art—and I realized we had created the ultimate playground for photographers.